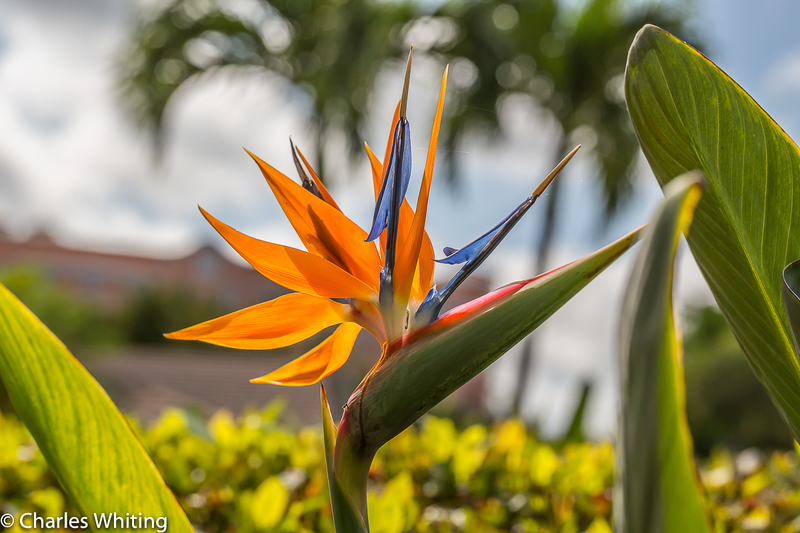 A Bird of Paradise flower backlit by the early morning sun. Deerfield Beach, FL. Photo © copyright by Charles Whiting.